You are here: Home / LATINO NEWS / IS GOVERNOR RICK PERRY DOING AWAY WITH PLANNED PARENTHOOD IN TEXAS? IS GOVERNOR RICK PERRY DOING AWAY WITH PLANNED PARENTHOOD IN TEXAS? Gov. Rick Perry notified President Obama on Thursday that Texas will find the money to continue to fund the Women’s Health Program, no matter what the federal government does. But Planned Parenthood won’t be allowed to participate — and the program may no longer be affiliated with Medicaid. “We’re going to fund this program. 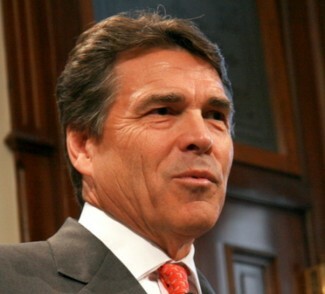 … That’s a moot point,” Perry said. He declined to say where he’d get the roughly $35 million the federal government provides every year, but told reporters that the state would not drop the program that has become a political football between Washington and Texas. Perry and Republican leaders in the Legislature don’t want Planned Parenthood to be allowed to participate in the $40-million-per-year program, which is designed to help low-income women get birth-control pills, family-planning help and cancer screenings. Though no clinics that accept funding from the program may perform abortions, the state’s Health and Human Services commissioner signed a rule last week that forces Planned Parenthood clinics, which provide more than 40 percent of the program’s services, out of the program anyway. The Obama administration believes that move is illegal, and has said the federal government will not renew the Medicaid waiver program at the end of March if Planned Parenthood and other clinics affiliated with abortion providers are excluded. Currently, the state puts in $1 for every $9 contributed by the federal government to the Women’s Health Program. Sarah Wheat, interim CEO of Planned Parenthood of the Capital Region, said that if Perry has suddenly “identified newly available state funding to support women’s health and birth control,” her organization urges him to use it to restore tens of millions of dollars in cuts made to state family planning during the last legislative session, as opposed to shoring up the Women’s Health Program. But she said that the program probably wouldn’t be able to be affiliated with Medicaid — the joint state-federal health provider for children, the disabled and the very poor — because there would be no federal dollars coming in. Perry said Texas has a “multibillion-dollar budget, so we have the ability to be flexible.” He said Texas taxpayers shouldn’t be forced to send their dollars to Planned Parenthood clinics, which can refer for abortions even if they can’t perform them.